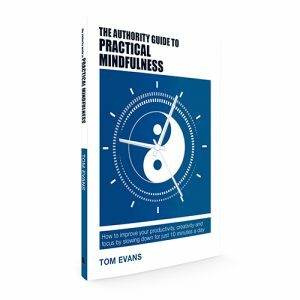 My book The Authority Guide to Mindfulness explores how we can use the practice of mindfulness meditation for real world outcomes. Being a practical book too, it doesn’t just talk about the subject but it comes with the 10 minute guided meditations so you actually experience the meditative state. 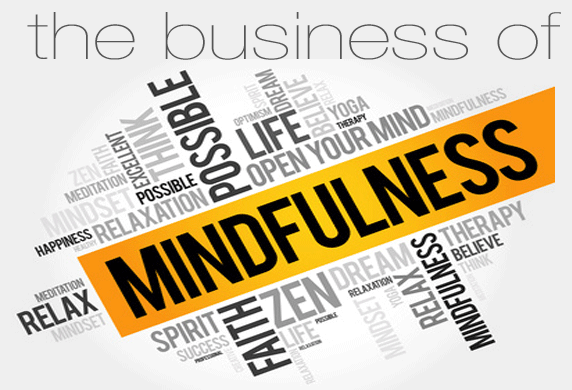 You will learn how mindfulness is not a box ticking exercise where you go on a course and that’s it. It is a way of life and a way to be which is less stressful, more graceful and easier all round. It’s a general maxim in life that what goes around comes around. When we offer a free gift, the obvious bonus is the capture of an email address so we can market to people. With a little extra effort, there is a more subtle and mindful benefit to be had still. I have written a series of daily nuggets of mindfulness that appear in peoples’ In Boxes each week day. They are called Just for Today and a month’s worth takes me around an hour to write. As a result, you keep in your potential customer’s minds each and every day. As mentioned in the new book, it’s not a good idea to market your products and services by being disparaging about your competitors. Neither is it a good strategy to push your products in peoples’ faces. A much better way is what I am doing here and that’s to share valuable content that others can use and then to mention your own products and services in passing and in context. So my way of ‘shouting quietly’ is by posting content on my blog and also by interviewing like minded people on my podcast. These days it is my main marketing tool and it seems to generate all the business I need. In addition, when on social media, my policy is to only be positive and to share wisdom, successes and celebrations. The writing and publishing of my books has not only opened many doors for me but it has also opened the hearts and minds of many readers. As an unexpected spin off, it also lead to a career I didn’t plan as an author’s mentor. More importantly still, when you encapsulate your wisdom in a book, in a small way you immortalise yourself. It’s said, “The only thing you can take with you is your evolution and the only thing you can leave behind is your art”. It’s also a good idea to leave the world a better and wiser place than how you found it just in case you have to come back again. The way to get more money into your world is to make promises and keep them. Promise to deliver on time and within budget and clients will come back and refer others to you. Learn something new each day and you will increase your promise and be able to deliver more and more with increased value. This podcast from the Zone Show [an example of #Method 2 explains more]. If you are living in the developed world and actually have a business, you are considerably better off that the vast majority of people on the planet. So one smart way to move money energy around is to align a relevant product or service with a ‘good cause’ and give a percentage of your earnings away. I had my cataracts removed this year and ended up starting a philanthropic initiative as a result of a light bulb moment I had on the operating table.